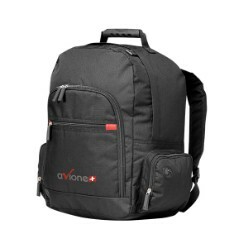 Thank you for your interest in our MULTI LAPTOP BACKPACK. Please complete your details on the 'Quick Quote' form and click the Submit Button at the bottom of the page. 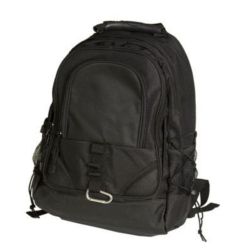 A customer service consultant will contact you about the MULTI LAPTOP BACKPACK with a quotation. Size : 41cm (h) x 19.5cm (w) x 32cm (l). 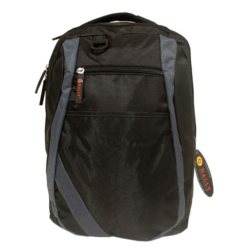 Keep all your items safe and protected with this 15” Laptop backpack designed for comfort. 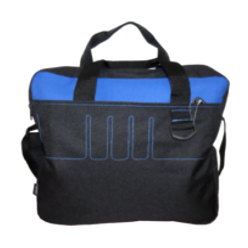 Made from durable 1680D Rip-stop, it features a rubber handle, inner padded laptop divider, rubber zip pullers, outer zip pockets and a media port. Rip-stop and 1680D.